These pancakes make an easy, healthy breakfast. The basic recipe uses only 2 ingredients--banana and egg--but I add a few more ingredients to up the flavor without adding any work! Making breakfast for more than just yourself? No problem! This recipe scales up without issue. 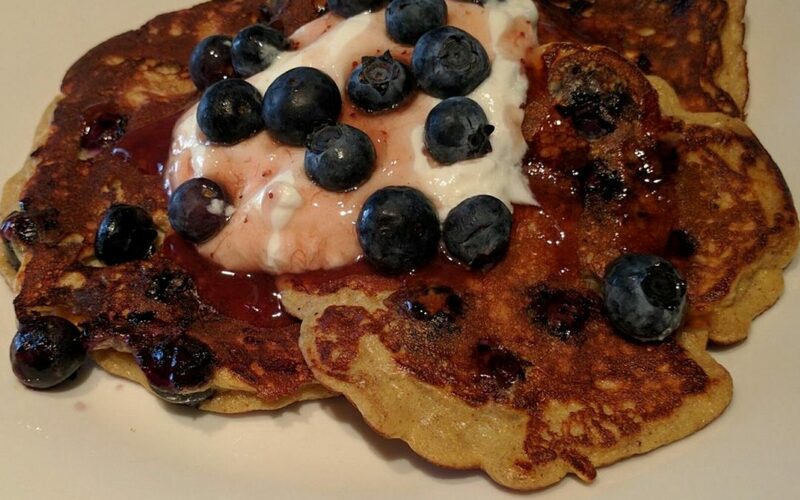 Combine the mashed banana and beaten egg, plus other ingredients as desired except blueberries. Whisk to combine. Preheat nonstick skillet to medium heat. 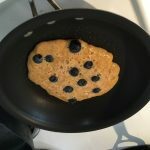 Spray/coat heated pan with oil and then pour batter 1/4 cup at a time, and then sprinkle some blueberries onto the batter in the pan before flipping the pancakes. Serve with any of your favorite pancake toppings, but my personal favorite way to go is to top them with some plain or vanilla yogurt, a drizzle of your favorite syrup and another handful of fresh fruit.